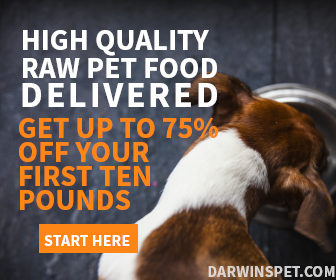 Darwin’s Natural Pet Products: Highest quality raw dog food delivered to your door. Try 10 pounds of raw food for 75% off! No code required. Click here.